IKEA Singapore has launched its local version of the online green, eco friendly and environmental sustainability advertising and marketing campaign, Never Ending Job. 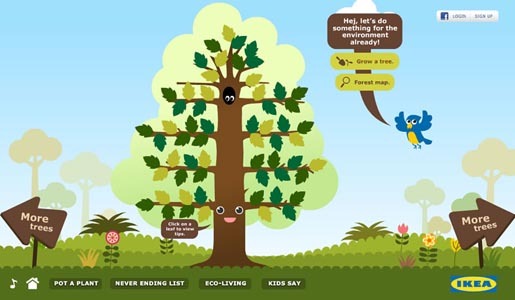 The campaign involves a series of three films in which children talk about environmental sustainability. The integrated advertising and marketing strategy is hosted on a dedicated site promoting eco green living by support green and eco friendly products, a never ending list of ways the company supports green living, and pot a plant game.